Well it’s over folks! 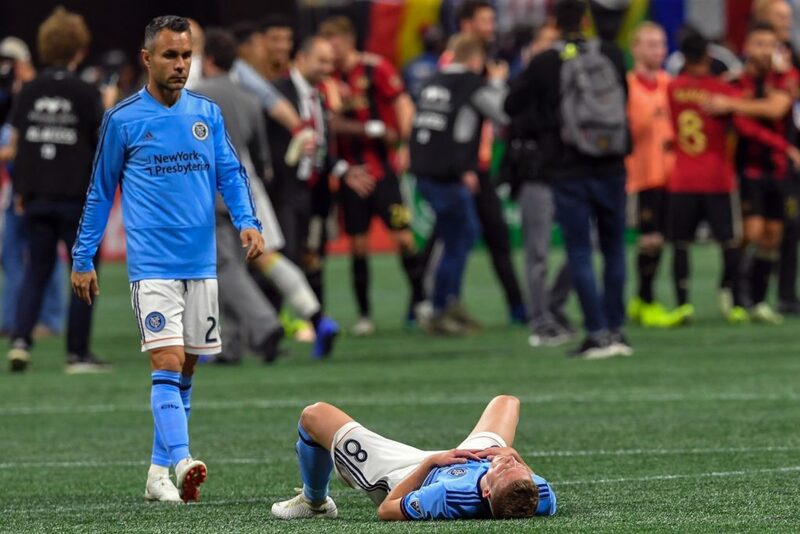 NYCFC loses to Atlanta United by an aggregate score of 1-4 and is again removed from the playoffs in the semis. We have a packed show with guests and talk all about the match, Dome’s post game quotes lol and more. Purchase our NYCFC Nation scarf! (http://thenycfcnation.com/2018/04/nycfc-nation-scarf/) 100% of proceeds go towards City in the Community! Like listening to the NYCFC Nation Podcast? Let us know by leaving a 5 star rating and review to help other New York City FC fans find the podcast. Click here to leave a rating and review on Apple Podcasts or here to leave one on Stitcher!